KAMPALA – A total of 14 government officials arrested by the State House Anti-Corruption Unit over allegations of corruption have been interdicted. The officials, who were arrested between December 20, 2018, and February 27, 2019, from different parts of the country, were implicated in cases of land fraud, bribery and tax evasion. Their cases are before the Anti-Corruption Court. They are from Uganda Revenue Authority, Tororo Municipality, Wakiso District lands office and Mbarara District local government. According to Mr Ofwono Opondo, the government spokesperson, they had to act to stop the officials from interfering with investigations. “Apart from the prosecutions that are going on in the courts of laws, we have now received letters of interdictions from the permanent secretary of Ministry of Local Government and from that of Lands. So all the 17 officers that have appeared before the Anti-Corruption Court have all been interdicted. 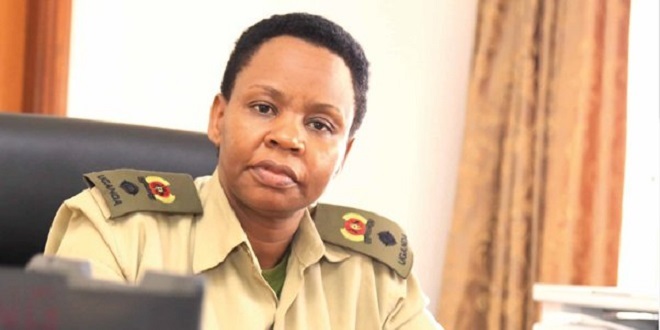 We wanted to report these interdictions so that those interdicted officers don’t hide within the districts and among the community and pretend as if nothing has happened,” said Mr Opondo in a statement issued on Wednesday. The interdicted officials are Mr. Mwanje Andrew, Ms Doreen Mpumwire-data entry clerk, Ms Katushabe Monica, Mr. Jaffery Bakalaze and Mr Herbert Kavuma all from Wakiso District. Others are Mr. Akuma Muzamil, the Tororo Municipality town clerk, Denis Okatch, the Tororo Municipal Engineer and Mr. Etuku Ejolu Shadrack, the Roads Inspector. Others are Mr. Erejo Kamil Rajab, the Municipality treasurer and Mr. Kasajja Kayiru- former town clerk. From Mbarara there is Mr Chuthbert Esoku, the CAO; Mr Godlive Nayebare, the senior land management officer; Mr Karuhanga Rosalia, the human resource officer, and Mr Himbisa Emmanuel, a senior land management officer. From Uganda Revenue Authority are Hassan Miiro and Ferdinand Albaker Wamala. Ms Namakula Sarah, a court clerk from Nabweru Magistrate’s Court, who was arrested for allegedly soliciting UGX2m bribe to fast track the bail hearing for the two URA officials, is also on the list of those interdicted. Mr Opondo said the Statehouse Anti-Corruption Unit will continue in its work until corruption becomes too costly for the perpetrators. He said on a daily basis, the unit receives 237 cases. “In many cases, people are repeating what they have reported elsewhere to other anti-corruption agencies. But it appears, generally speaking, the system of anti-corruption in this country is not as responsive as it should be and consequently this unit is getting a lot of traffic,” Mr Opondo said. “We don’t want the corrupt and their networks to attempt to divert or to undermine or to challenge our efforts of fighting corruption. We expect the corrupt to kick back. Our job should be to try and disrupt their corrupt activities, where possible try and apprehend them bring them before prosecutions,” he said.